Home » Blog » I coloured my hair blonde and it went orange. What’s going on? We’re all grown ups here, so let’s not pretend there isn’t occasional unwanted colour results from home colouring. One home colouring mishap that we do hear of from time to time is orangey colour results when colouring with a blonde colour. As a colourist, I have heard of this complaint over and over again from home colour jobs gone wrong with many different brands over the years, and a not-insignificant part of a salon colourists work is in colour correcting orangey colour outcomes. It happens often enough that there are more than 5 million results for the google search ‘dyed hair blonde turned orange’. So it’s a thing, and it happens. 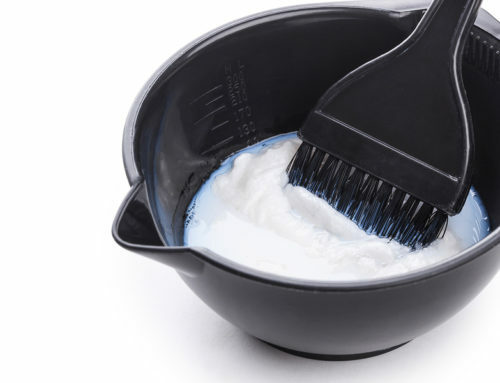 It’s handy to remember that this also happens when lightening or colouring in a salon, but there the colourist can extend bleach processing times and use toners to colour correct. In the beginning (in more innocent times)…. You popped a lighter, beachy blonde colour in your hair. Except… No blonde in sight, just an interesting and unwanted shade of orange. 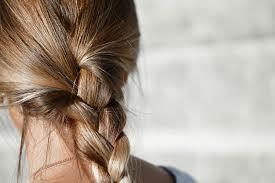 The visible part of our hair is… only the visible part of your hair. Your hair colour is a combination of various colour pigments, including the visible colour and then the base or underlying colour. The darker your hair, the more pigment it contains. Almost all hair has red within its base colour. Black has a large quantity of dark red base pigment, brunettes have an orange base pigment. When you lighten your colour, as part of the process of stripping out the visible pigments in your hair, you reveal pigments which usually are not visible in hair, and which are all predominantly red or orange. The cool toned colour pigments within your hair are the smallest and they are the first to be lifted out of your hair during the lightening process. 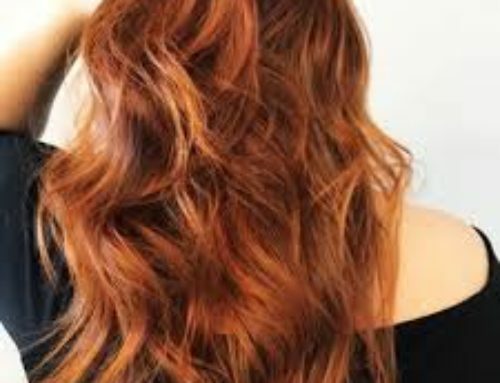 There are more warmer (red and orange) molecules than cool colour molecules, and the warmer pigments are larger, so they are the last to be lifted out of hair. 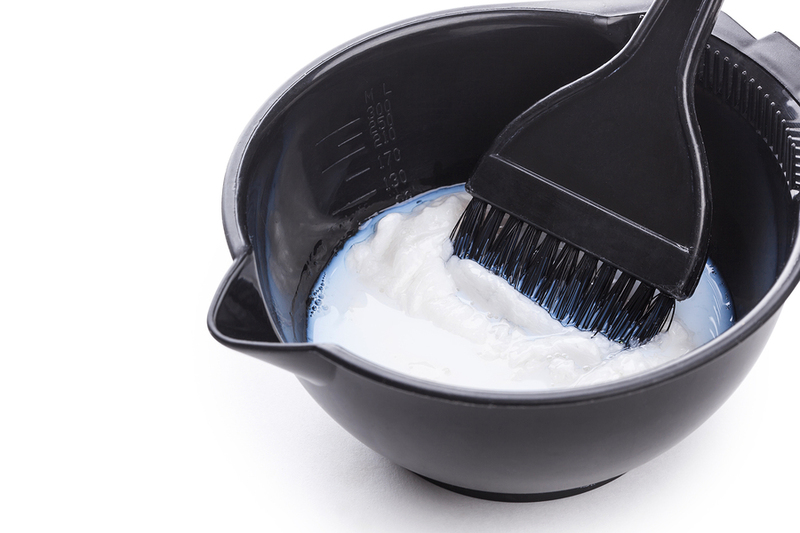 Lightening or bleaching your hair is the process of breaking down these smaller colour pigment molecules in your hair. Once they are lifted out there is a yellow colour base, which is the base for your new blonde colour. If all of the warmer pigments are not lifted out during the lightening process, then you will be left with reddish/orange hair colour. If your hair turned orange when you coloured it blonde, it’s because your hair wasn’t light enough or bleached enough to get to blonde. Your hair turns orange when you bleach it because the large warm colour molecules are the hardest and last to break down enough to get rid of them during the lightening process. For a successful and true blonde colour outcome, you need to first lift out all darker, warmer colour pigments. At The Shade we use a gentle 20 vol developer which can lift or lighten natural hair two colour levels, no more. If you select a colour which is 3, 4 or 5 colour levels lighter than your natural colour, then we can almost assure you that you will end up with reddish tones at least at your roots, because our developer is not strong enough to cut through 3 or 4 colour levels worth of pigments in your hair. It just hasn’t got the grunt to lift out the red pigment that will be in your hair if you are looking for a significant multi-level colour change. We recommend using our colour products for colour changes no more than 2 colour levels lighter (or darker) than your natural colour to ensure you achieve consistent, true colour outcomes. If you have orange colour in your colour, you can either lighten your hair further to remove all the warm pigments and recolour your hair, or your can neutralize the unwanted tones by using a cool based toner. 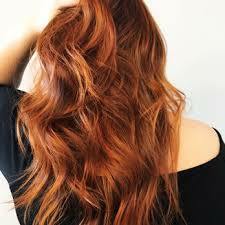 An option for lightening is a bleach wash, which you can do at home to lighten your hair by 1-2 levels. It is best to select cool or Ash based colours to recolour your hair as they have violet undertones which will neutralise warm colours. A cool or Ash based toner will also be effective in counter-acting and neutralizing unwanted warm tones. How can you prevent orange colour outcomes in future? Please take note of the colour recommendations and select a colour within two colour levels of your natural hair colour. We have a ‘recommended for’ range listed with all our light blondes colours to help you work out if that colour is an option for you. Cool based colour selections also very important to stay on top of any unwanted warmth which is almost inevitable in the lighter blondes shades. Stick to Ash colours for their blue/violet undertones which will neutralize any unwanted warm tones. Lighter blondes may need a monthly toner treatment to stay on top of any brassy creep, which reappears as colour fades slightly.